Would you like to write a guest post for my blog? I'm looking for guest posts--not just from other writers and illustrators but from anyone who is passionate about books for kids and teens: librarians, teachers, book lovers, graphic novel fans, book designers, editors, agents, book bloggers, book sellers, you name it. Any guest post would have to fit my blog, and it can't be something that I've already done or could do on my own. Check out my previous posts to get a better idea of what fits. 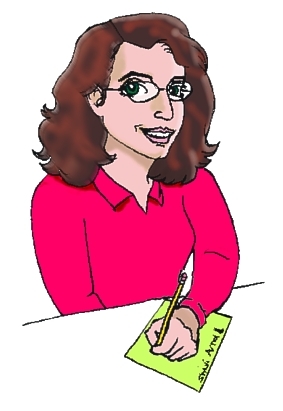 I mostly blog about writing, illustrating, publishing, books, and geek culture--all things that I love! The best guest posts should have a personal slant and provide something only you can provide. Are you a writer who has encountered a particular struggle in your writing, and if so, how did you overcome it? Is there something or someone in particular that inspires you? Have you learned something surprising in your writing or publishing journey that you'd like to share? Is there a children's or YA book that has special meaning to you? If you could tell a group of writers or illustrators something you think they should know but don't, what would it be? If you have an idea for a guest post that fits these guidelines, please leave a comment below or write to me at shevi.arnold@hotmail.com. I look forward to hearing from you.